BERLIN • German news weekly Der Spiegel yesterday published a 23-page special report on how one of its award-winning reporters faked stories for years, which has dealt a blow to media credibility. Mr Claas Relotius, 33, resigned after admitting to making up stories and inventing protagonists in more than a dozen articles in the magazine's print and online editions. Last Friday, the United States Ambassador to Germany called for an independent investigation in a letter to the weekly, pointing out that many of the stories Mr Relotius fabricated focused on American life. Since the scandal was revealed by the magazine last Wednesday, other mainstream German outlets such as Die Welt and Die Zeit, which once used Mr Relotius as a freelancer, have also begun poring through articles he wrote for them. "Tell it like it is," wrote Spiegel on its latest magazine cover page, an allusion to the publication's motto by its founder, Mr Rudolf Augstein, that also hangs at the entrance of its headquarters in Hamburg. In its editorial, the magazine said the scam, involving subjects including Syrian orphans and a Holocaust survivor, is the "worst thing that can happen to an editorial team". It also apologised for the mistake and promised to "do everything to boost our credibility again". The losers are all the journalists in the country who carry out their research in difficult or dangerous circumstances, as well as members of the editorial teams, who check through texts for quality and accuracy. SUEDDEUTSCHE ZEITUNG, one of Germany's largest newspapers, in an editorial on the scandal. The US embassy in Berlin last Friday also expressed concern over the news. "The recent revelations of completely fabricated stories and fraudulent details in Der Spiegel over the last seven years are troubling to the US Embassy, particularly because several of these fake stories focused on US policies and certain segments of the American people," it said. US Ambassador Richard Grenell had written to the weekly's management, calling for "an independent and transparent investigation", the statement added. Mr Relotius had written for the magazine for seven years and won numerous awards for his investigative journalism, including CNN Journalist of the Year in 2014. The cheating came to light after a colleague who worked with him on a story on the US-Mexican border raised suspicions about some of the details in Mr Relotius' reporting. The colleague eventually tracked down two alleged sources quoted extensively by Mr Relotius in the article, which was published in November. Both said they had never met Mr Relotius. Spiegel said it was "lucky that one of our employees managed to uncover this case". Still, the damage was done, particularly at a time when disinformation campaigns are posing a constant challenge to the credibility of mainstream media. "The losers are all the journalists in the country who carry out their research in difficult or dangerous circumstances, as well as members of the editorial teams, who check through texts for quality and accuracy," said an editorial in Sueddeutsche Zeitung, one of Germany's largest newspapers. It noted that politicians in the far-right party AfD had immediately seized on the case as "evidence of the dysfunctionality of the quality media". The AfD, whose supporters often attack mainstream media as "lying press", has been gloating over the scandal. 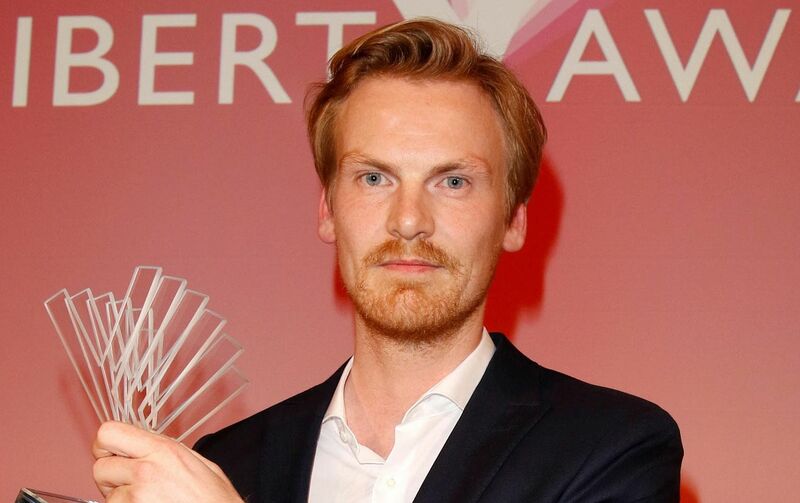 One of its MPs, Dr Goetz Froemming wrote on Twitter: "Ironically, the #Spiegel - the self-claimed leading media outlet that likes to slag off Trump, AfD and Co, has been for years delivering the best #FakeNews via #Relotius." Amid the damaging atmosphere, public broadcaster Deutsche Welle appealed to the people not to condemn all mainstream media because of the "dangerous, isolated case". "Before him, there have also been other fraudsters who have fuelled the accusation of a lying press. But the lying press doesn't exist. Most of us are honestly, sincerely doing our work to give children like Alin and Ahmed from Aleppo a voice."